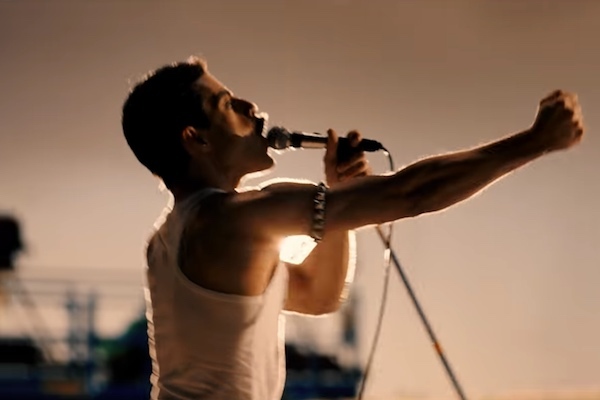 “Bohemian Rhapsody” has released a new trailer that features more of Freddie Mercury’s sexuality and AIDS diagnosis. Later, a reporter asks Mercury about his “private life” and there’s a quick scene of Mercury sharing an intimate moment with another man in the studio. “What more do you need to know? I make music,” Mercury says. “What if I don’t have time?” Mercury replies. The first trailer had been criticized, including by showrunner Bryan Fuller, for straight-washing Mercury by only showing scenes of his relationship with Austin. “Bohemian Rhapsody” debuts in theaters on Nov. 2.